Over half of B2B businesses, and around three quarters of B2C businesses, are using paid social media advertising. 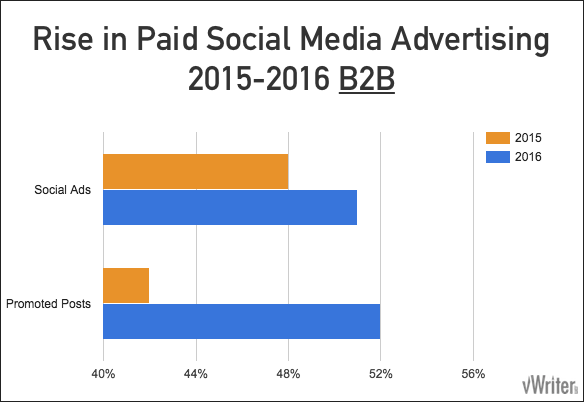 For B2B businesses, usage of social ads rose 6% year on year, whereas usage of promoted posts grew by 24%. (Data sources shown above). 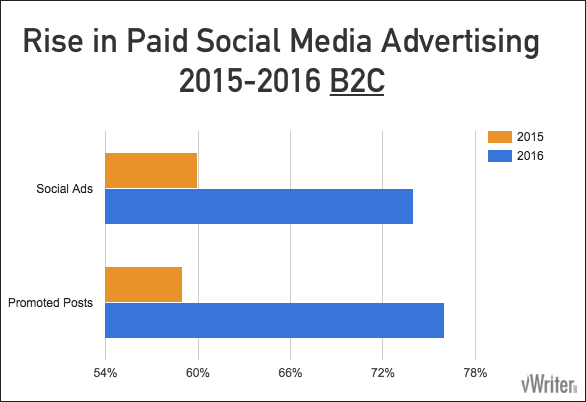 Paid social advertising grew even more strongly for B2C businesses, with social ad usage growing 23% and usage of promoted posts growing by 29%. (Data sources shown above). Get the Special Report on where to advertise on social media. LinkedIn, acquired by Microsoft in 2016, continues to grow, with 450 million users across 200 countries. Pew Research Center shows 25% of adult Internet users are on LinkedIn, particularly those of working age and with relatively high income levels. Nearly half of college graduates use the platform. Usage rates tend to be higher for those aged 30 or over. The site has a slight male bias. Around half of users are in a decision-making role. 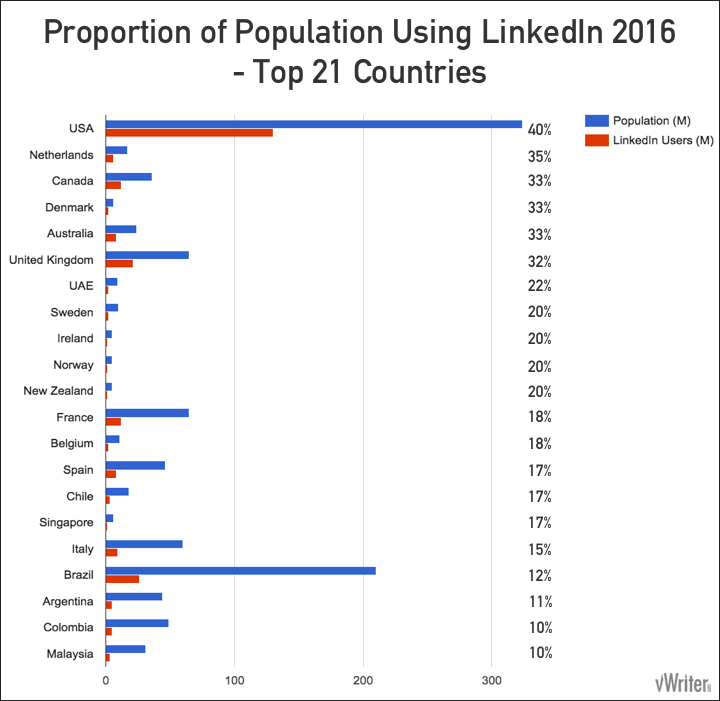 The proportion of the population from various countries that use LinkedIn. Top 21 countries, ranked in order of declining proportion. 40% of the population of the US use LinkedIn. A third of populations in countries like Canada, Denmark and the UK use the platform. Usage drops to a fifth or less for many European countries along with New Zealand and the UAE. Advertising costs are higher on LinkedIn than on other social networks. However, the quality of traffic tends to be much higher. In other words, for the right offer, visitors can prove easier to convert and can have higher customer values. Their advertising tends to be best suited to B2B companies with relatively high average customer values, such as SaaS offerings. Analytics allow you to monitor KPIs such as click-through rate, conversion rate and cost per conversion. 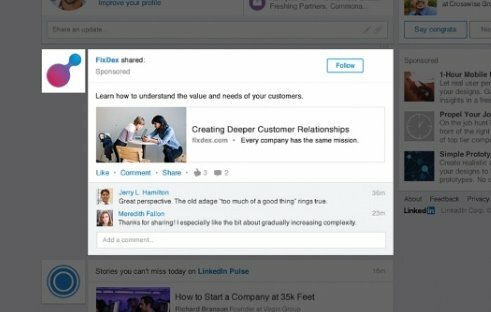 You can sponsor content from your Company Page on LinkedIn so it reaches more people, similar to Boost Post on Facebook. LinkedIn provide a number of targeting options to help you define exactly who you want your content to reach. This includes location, specific companies, job title, gender and age. You can also use their Direct Sponsored Content feature to sponsor content that isn’t published on your Company Page (similar to Facebook’s Dark Posts). Send internal LinkedIn messages to your target audience. 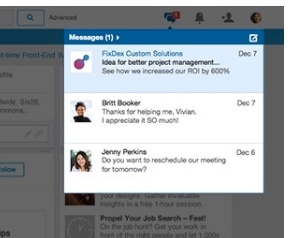 To help increase engagement, messages are only sent when the user is on LinkedIn. Target people based on location, specific company, industry, company size, job title, job function and seniority. For example, you might wish to message marketing executives on a specific list of companies. This type of ad allows you to do that. Designed to increase the follower count for your Company Page, these ads allow you to personalize the creative for the individual who sees the ad. For example, the ad uses their name and image. 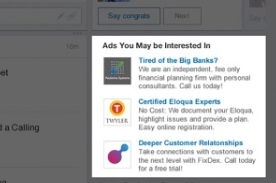 These ads show in the right-hand column of LinkedIn. They are designed primarily to help brands and larger media buyers reach Linked’s professional and relatively affluent audience. 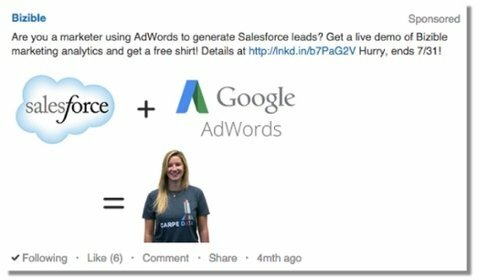 Text ads are LinkedIn’s pay per click (PPC) ad option, enabling advertisers to drive people through to their websites and landing pages. You can also choose to use the cost per impression (CPM) option rather than PPC if you prefer. For PPC, you define the maximum you want to pay per click, as well as a daily budget to help control costs. Ads are created via LinkedIn’s self-serve advertising platform, enabling easy accessibility for all businesses. It’s recommended to include a 50×50 image with the ad to boost response. Ad targeting includes the usual options such as location, job title, company size, and so on. The minimum cost per click bid is $2, with a minimum daily budget of $10.00. Axway began using LinkedIn Ads as an alternative to Google Adwords, where they found conversion costs rising and other issues. Using LinkedIn’s targeting options, they specifically targeted people in the Healthcare industry. They optimized by testing over 30 ads, and built conversion pages specifically designed to appeal to LinkedIn users. Their advertising generated a 25% conversion rate, with the lowest cost per conversion they’d ever achieved. They also found the generated leads to be high quality. Bizible, a B2B SaaS company, used sponsored content to reach highly targeted job roles on LinkedIn. In fact, the audience size was just 2,000 users, and they only spent $20 on the ad. The ad brought in two new customers, worth a total average customer value of $12,000. While a frequent complaint from marketers is that LinkedIn ads are “too expensive”, the real issue is either that what they offer doesn’t match LinkedIn’s audience in the right way, or that their average customer values are too low to return a positive ROI. Twitter has 313 million monthly users, with 79% of them outside the US. Research shows 23% of all adult Internet users use Twitter. It’s most popular amongst urban dwellers, and those aged from 18 up to 50. More men than women are on the platform. Most earn at or above average incomes, so are relatively affluent. Twitter ads work on a cost per action (CPA) basis. In other words, you only pay when the required action, set as the objective for a campaign, has been achieved (e.g. a click). Automatic bidding: Twitter auto-optimizes your bids based on your objective and budget. Maximum bidding: set how much the required action (lead, click or engagement) is worth to your business. The price you actually pay will mostly be lower, based on a second price auction (i.e. just enough to beat the second place advertiser). Website clicks or conversions: attract click-throughs to your site or pay for actual conversions. Followers: acquire followers for the specified Twitter account. Tweet engagement: for example, advertise for retweets via a Promoted Tweets. Leads: for this type of campaign, Twitter users are invited to leave their details in response to a call to action (e.g. an offer for a suitable lead magnet). These leads can then be retrieved for follow up. Video views: attract views of a video within a Tweet. Twitter provide sophisticated targeting options. To start with, you can target your audience based on options such as location, interests, gender and device used. Your own followers, and/or users similar to your followers. People searching for, or tweeting with, specific keywords. Users with interests similar to followers of specific accounts. For example, you could enter the Twitter handles of prominent Twitter accounts within your industry, and market to their followers and followers like them. Advertise to leads on your list. Upload a list of handles from influential Twitter accounts, and then promote Tweets to them. This could help those Tweets reach a much wider audience, as well as potentially build profitable relationships with key industry figures. 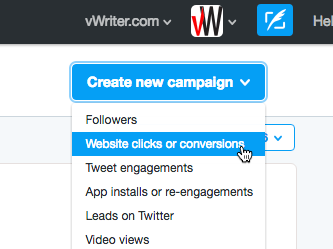 Twitter also provide a retargeting option (the ‘Website visitors’ option shown above). This allows you to show Tweets to people who have recently visited your site, or purchased or downloaded something. Retargeting is an increasingly important and effective way to communicate with prospects without relying on email. Behaviours: this uses data from partners, with categories such as household income, marital status and type of products bought. 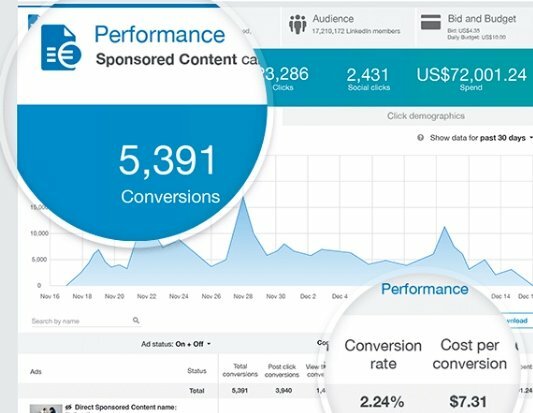 Their campaign dashboard gives you analytics such as impressions, clicks, engagement rate, and cost per result. Finally, Twitter provide conversion tracking. As well as conversions, it can record those who respond so you can target them as an audience in future. 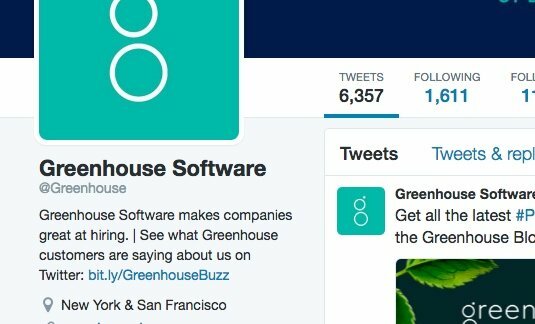 Greenhouse Software (@Greenhouse) provide a recruiting and onboarding software platform for companies looking to hire. They used Twitter ads to help build their list, using a website conversions campaign. They achieved a 62% lead conversion rate. This was likely down to a mixture of well-chosen targeting for the ad, and on-site factors. In one month, they increased their subscriber count by 15%. Ryan Deiss and his team at DigitalMarketer achieved a 198% ROI on a campaign that brought in $7,937.85 in revenue. They set up ads on Twitter that drove traffic to blog posts that were primed with calls to action that built their list, and put leads into a sales funnel for a specific product. (I wrote a separate post on how to convert blog traffic into leads that you can read here). Rather than pay per click on the link, they paid per engagement. In other words, they paid for follows, likes and retweets as well as clicks. This brought down costs, with retweets inviting further (organic) clicks and engagement from other Twitter users, as well as building future value. The blog posts were also share-worthy in themselves, leading to shares on other networks such as Facebook and LinkedIn. Revenue earned was $7,937.85, giving a 198% ROI. Facebook is of course huge, with 1.71 billion monthly active users (June 2016), dwarfing other social networks. Over 80% of them are outside North America. The average American spends 40 minutes a day on the network. Users are predominantly in the 20-29 age bracket, with the majority of users under 50 years of age. Around a third only use their mobile for Facebook. More women than men use Facebook. There is also a higher proportion of less-affluent users on Facebook than on the other major networks. 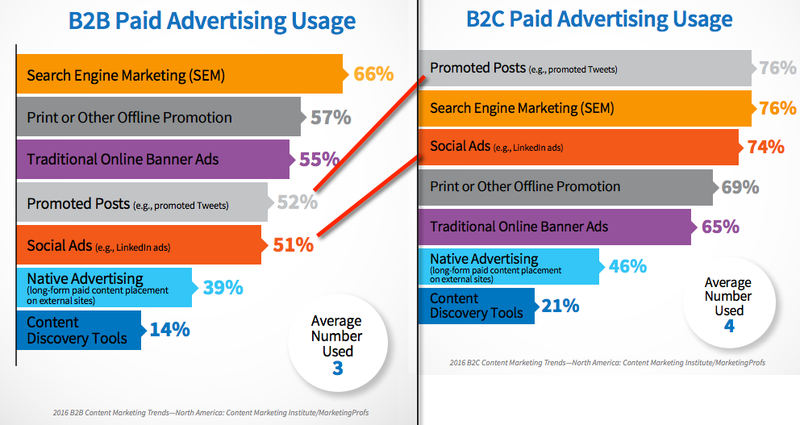 Generally speaking, B2C tends to perform better on Facebook than B2B. But there are still plenty of B2B businesses who use Facebook advertising successfully when approached in the right way. Facebook is the largest and most sophisticated social media advertising platform, thanks to the sheer size of its user base and the amount of data they are able to collect. Boost Post: attract people to like, comment on and share posts. 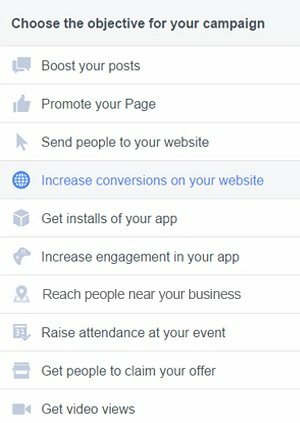 Promote Page: advertise for people to like your Page. Website Clicks: drive traffic direct to your website, such as a list squeeze page. Video Views: attract views of a video advert. Lead Adverts: create contact forms within an advert that’s pre-populated with the contact’s information. Retargeted Ads: showing ads to people who have visited a particular page or taken a particular action on your site (e.g. joined your list). 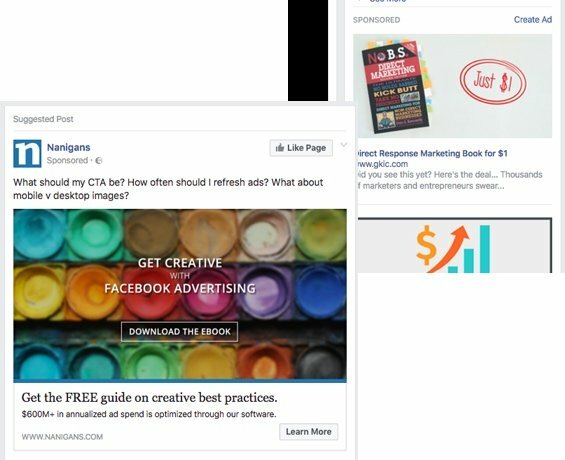 Ads on Facebook typically show on the right-hand side and in the main news feed. Ads are created via their self-serve platform from within Facebook, with their Power Editor providing more sophisticated ad management functions. They provide conversion tracking to effectively measure the success of your campaign. Conversions for a campaign might include people browsing your site, signing up to a list or buying something. As with most advertising platforms, creating a successful ad campaign on Facebook requires a lot of testing of different creatives, offers and targeting options before finding a mix that works. Generally, you start with a lower amount as you test different creatives. Once you find a winning mix, you then ramp up that expenditure. However, changing the campaign budget also often alters the effectiveness of the ad, making it more challenging. Ads also rapidly go stale. In other words, response drops as your audience becomes familiar with an ad. For best effect, rotate several winning ads over time. An attorney who spent a few hundred dollars on Facebook advertising, and in return got a case worth $100k. A cloud hosting company who got leads for between $29 and $74. Obviously for many businesses, this type of lead cost is very high. But cloud hosting customers have high values, and means positive ROIs are still achievable. As detailed here, Market Square Jewelers advertised on Facebook and achieved a 40% increase in sales. 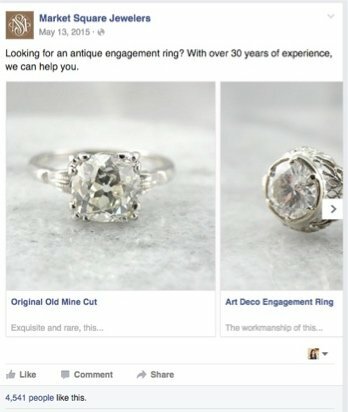 Ads were targeted at female users who had already demonstrated an interest in engagement rings. They achieved 25,653 clicks from an ad spend of $1,495.88, working out at a cost per click of just $0.06. Is Reddit a social network? It can certainly be considered as one. In fact, some refer to it as the original social network. Reddit has a sizeable user base of over 234 million people. There are over 10,000 active communities, with users casting more than 21 million votes a day. Users of the platform are generally young and male, and tend to be fairly liberal in political outlook. They also tend to be well educated and to be heavy users of the Internet (Reddit users are often seen as geeky). One key characteristic of Reddit users is that they enjoy engaging, and debating and discussing topics. They’re smart, intelligent, thoughtful and tech-smart. It’s this culture that marketers try to tap into, but often fail to do so successfully. 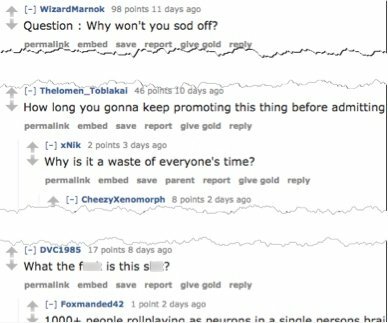 Another key characteristic of so-called Redditors is that they generally loathe marketing and promotion, and aren’t afraid to let you know. That means you’ve got to approach advertising on Reddit in a different way to other platforms. Use of impersonal marketing-speak – “Buy Now for [X]% Discount” – will get you nowhere. Instead, get to understand the culture and tap into the same mindset as closely as possible. That generally means being honest, transparent, open and helpful, and inviting Redditors to converse and engage. It’s enough to make a lot of marketers turn and run. But it doesn’t mean the platform can’t be used for profitable advertising. You can still for example offer discounts. But you need to do it by adding value to Reddit and acknowledging users’ sense of belonging to the Reddit community. For example, brands like Newsweek, Atari and Penguin Random House advertise on the platform. But with a minimum spend of just $5, it’s really open to businesses of any size. It’s also got a lot of spare ad inventory, making advertising far cheaper than most other platforms. Rather than paying per click, you pay on a CPM (cost per thousand impressions) basis. You run a campaign by posting an ad on a single, specific subreddit (a Reddit community). A subreddit is very targeted for a specific topic, e.g. reddit.com/r/Entrepreneur/. Alternatively, you can target a collection of similar subreddits. The only other targeting available is to only show the ad within a specific geographical location (see example ad below). An ad consists of the copy, the text or link you want to promote, and a recommended 70×70 thumbnail image. Link: when you want to drive traffic to a specific landing page. Text: includes an embedded text box with a message of unlimited length which can include links to your site. This can help drive conversation, rather than just a straight click-through. Start by creating a username. If you already have one, it’s best to run it under a completely different one to keep things separate. The text for the ad should generally be conversational, as if you’re writing to a friend. Redditors appreciate the human touch, rather than to feel they’re being marketed at with zero real engagement. When setting up the ad, you can disable the ability for Redditors to comment on it. But doing so is generally against the spirit of what Reddit is about and may not engender much warmth from Redditors. Instead, while some comments may be less than friendly, they do allow you to tap into your marketplace in a unique way. After creating the ad, you set the total budget for the campaign ($5 minimum), set a start and end date for the campaign, and set how much you want to pay per 1,000 impressions (CPM). Ads can take a while to appear compared to other sites, but usually within 1 business day. For example, if you set up an ad late Friday, it’s unlikely to be shown on the site until Monday. Reddit provide a full tutorial on setting up ads on the site and some helpful tips on connecting effectively with Reddit users. After your ad is live, you can see impressions, clicks and other data via their analytics dashboard. Be watchful of comments so you can respond and engage as appropriate. Digital marketing consultant, Nate Shivar, spend $100 on some recent advertising on Reddit, for purposes of comparison with an earlier campaign he ran in 2013. He achieved click-through rates of 0.46% and low CPCs of $0.28. He gained several new email subscribers for what would seem to be a few dollars each (based on the stats he shares), and believes the traffic (and email addresses) were generally good quality. Run 30 ads on Reddit. Brought in over $2,200 dollars. That’s an impressive ROI of some 450%. Get the Special Report on where to advertise on paid social media. 28% of adult Internet users use Instagram. It’s most popular with young, adult, non-white people, the vast majority under 30 years old. As with Facebook, there are more female than male users. The network has over 500 million monthly active users, who share over 95 million photos a day. As with Facebook and Twitter, around 80% are based outside the United States. The majority live in urban or suburban areas. Around 50% of companies with 100 employees or more use Instagram for marketing. This is expected to grow to over 70% in 2017. One reason it’s so popular with brands is that Instagram users are generally more brand-friendly than other networks, with more than 50% following brands on the network (compared to e.g. 44% on Facebook). 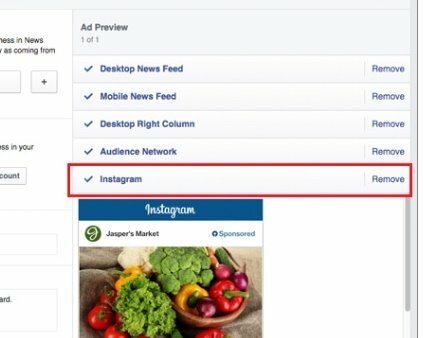 You advertise on Instagram through Facebook, either through the normal ad manager or the Power Editor (see #3 Facebook, above). Connect an Instagram account via Business Settings > Instagram Accounts on the left-hand side. After adding, click on the Instagram account in question, click Assign Ad Accounts, and select the ad accounts listed that you want to be able to assign Instagram ads from. The objective you choose for your ad must be one that supports Instagram. In the Ad Preview section, ensure you check the Instagram option. (If using the Power Editor, instead choose Instagram in the Placements section). 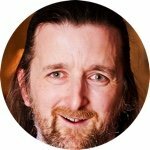 Ethan posted a 31-day live blog sharing his experiences of setting up and using Instagram ads. His primary goal was to increase signups for his Instagram tool, aiming for 2,000 users with a cost per lead (CPL) of $1.25. While some technical issues with the ad platform stopped his ads being served towards the end of this period, he still achieved 1,591 users with a CPL far below his target at just $0.91. UK-based mail order florists, Bloom & Wild, used their existing email list to create a lookalike audience. Using a small test budget, they discovered videos gave them the best conversion rates. As an unknown brand, Instagram ads increased their bouquet orders by over 60%. Over 100 million people use Snapchat daily, reaching 41% of all 18 to 34 year-olds in the United States on a daily basis. On average, those users are spending 25-30 minutes on the platform. It’s very popular among Millennials (see Special Report: The Rise of the Millennials), ranked the third most popular social app behind Facebook and Instagram. It’s #1 among teens, illustrating its predominantly young user base. Snap Ads: a full screen video ad. Snapchatters can swipe up to see related content such as a longer video or article. 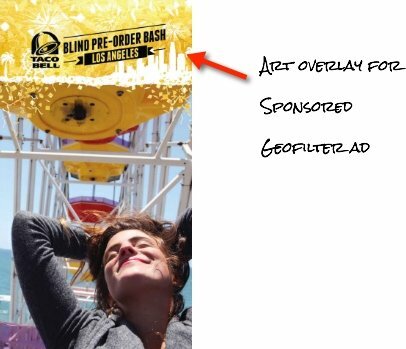 Sponsored Geofilters: displays art to the Snapchatter when they are in specific location(s), overlaid on the current photo. Sponsored Lenses: an interactive ad, enabling Snapchatters to engage with the brand by ‘playing’ with the ad. For example, raising their eyebrows might prompt an animation on the screen. To use these ads, larger businesses need to contact Snapchat directly. However, the Sponsored Geofilters has recently become available for people and smaller businesses to use, and are referred to as On-Demand Geofilters. Design the artwork in line with their guidelines, and upload. Pick a time and location(s) (what they call a Geofence) for the geofilter to run. Submit, and wait for approval from Snapchat within one business day. You can’t however include links, handles or email addresses in the artwork, so opportunities to use the filter as a call to action are more limited than with other ads. Pricing depends on the size of the Geofence, which must be a minimum of 20,000 square feet, and up to 5 million square feet. You can expect to pay upwards of $5. Gary Vaynerchuk spent $62.98 to target the location of a book event he was doing. In return, he got 229,713 impressions, working out at $0.27 CPM. Founder of Go-Getter, Tyler Smith, used custom filters to help with recruiting. His existing employees loved it, using the custom filter they created 130 times. It attracted at least one new potential recruit, as well as boosted employee morale and team cohesion. Tumblr has 550 million monthly users, who are generally seen as young and creative in nature. Their user base is evenly split between men and women, and are predominantly non-white adults. They are mostly under 30 years of age, tend to be city dwellers and are relatively less affluent and less well-educated than other networks. Sponsored Posts: make your posts more visible, targeting your audience by gender, location and interest. You can also syndicate the content to Yahoo. Sponsored Video Posts: the same as Sponsored Posts, but for video posts. You also get additional analytics on views, looping and engagement. Sponsored Day: Pin your logo and tagline to the top of Tumblr for a whole day, linking to a page full of content you’ve selected. They provide a full analytics platform to track performance. Ads are run through an account manager and are for larger businesses with campaign budgets upwards of $25,000. The online fashion retailer, ASOS, used Tumblr advertising for a campaign centred around a t-shirt design contest. They wanted to engage with creative individuals in the fashion and design communities on Tumblr. 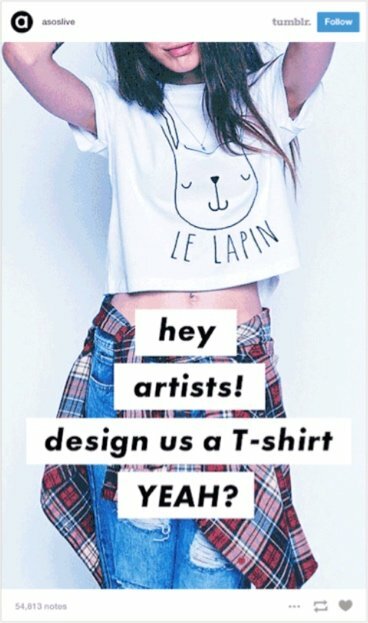 The content focused on asking artists to design a t-shirt for ASOS that would then be put up for sale. They used Sponsored Posts to attract entrants. As a result, ASOS received 900 designs, which they whittled down to four to sell in their store. All the designs sold out within 10 hours, and the campaign was regarded as very successful. Wait a minute. Is YouTube a social network? Many people think so, and with sound argument. Users follow what they’re interested in (video channels), indicate whether or not they like videos, comment and share. On YouTube’s home page feed, users are presented with videos based on who they are following (in other words, channels they are subscribed to) and what they have indicated their interests to be. To all intents and purposes then, it is a social network. Agreed? In fact it’s a bigger social network than Facebook. As the second biggest site in the world, you can practically guarantee your market is on YouTube. For example, comScore data shows the platform reaches 81.2% of Internet users in the United States. In terms of the male/female divide, while the site attracts an even split, data shows males generally spend longer on the platform. 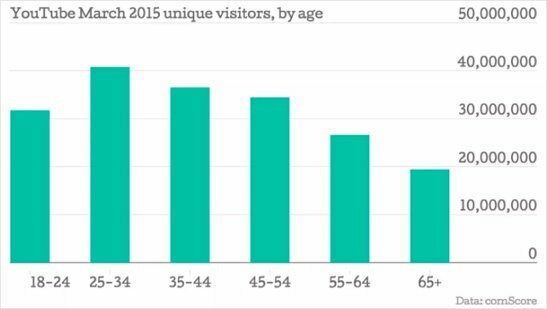 Younger visitors also spend more time on YouTube, with the dominant age demographic 25-34 years old. Display ads: banner ad (300×250 or 300×60) that appears on the right-hand side of YouTube. Overlay ads: semi-transparent ad (468×60 or 728×90) that appears over the top of the lower 20% of videos. Skippable video ads: also referred to as TrueView ads, these allow people to skip the ad after watching it for five seconds. In other words, it’s in the interests of the advertiser to target the ad effectively and to engage the viewer as rapidly as possible. Non-skippable video ads: viewers are forced to watch the ad before watching the video they’ve selected. Bumper ads: non-skippable ads of up to 6 seconds in length that show before the main video. Sponsored cards: displays content relevant to your video. Video ads are also often referred to as in-stream advertising or pre-roll ads. YouTube provide help on creating video ads you can use, including a YouTube Director app, and opportunities to work with a professional filmmaker. For the ad to display on YouTube, select the Display Network option within Adwords, select the Placements option under Use a different targeting method, and then choose YouTube.com. The full process would require a blog post by itself. Maybe I’ll create one in future, but for now Neil Patel provides a useful tutorial to follow. RealTruck.com achieved a ROI of 646% using skippable video ads. Over a period of several months, they spent $10,651.27, and achieved revenue of $79,410.51, with a cost per conversion of $36.60. A company providing a financial investment SaaS product created a 30-second video commercial, advertising with skippable video ads. Over three months, they received over 1.2M impressions, 121k video views, over 7k clicks and an undisclosed number of leads. Just over 30% of online adults use Pinterest, a network that has predominantly attracted female users, often with young families. They range in age anywhere between 18 and 50 years old, and tend to be reasonably well educated with good levels of income. There’s a roughly even mix between people living in urban, suburban and rural areas. The demographics of Pinterest users mean they are generally shopping-friendly, often looking for ideas of things to buy and to connect with brands in a creative way. The platform has 100 million monthly active users. Pinterest advertising is available to Pinterest business accounts based in the US, Canada or the United Kingdom. 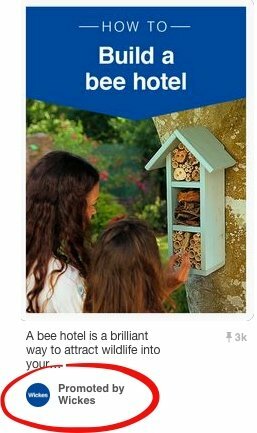 Ads on Pinterest work via Promoted Pins. 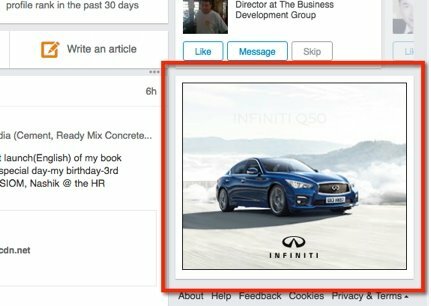 Similar to Boost Post on Facebook or Sponsored Content on LinkedIn, a Promoted Pin simply means your selected Pin will be seen by more people based on your targeting options. Engagement Campaign: You pay for engagements with the Pin. Engagements include a closeup, repin or click. Bid based on cost per engagement. Traffic Campaign: Pay for clicks to your website. Bid based on cost per click. Awareness Campaign: Pay for views of your Pin. Bids are based on CPM, with a minimum bid of $5. Any Pins you promote must already exist within your profile. For each campaign, set a start and optional end date. When setting up the campaign, choose between a daily or a lifetime budget. There is no minimum cost. 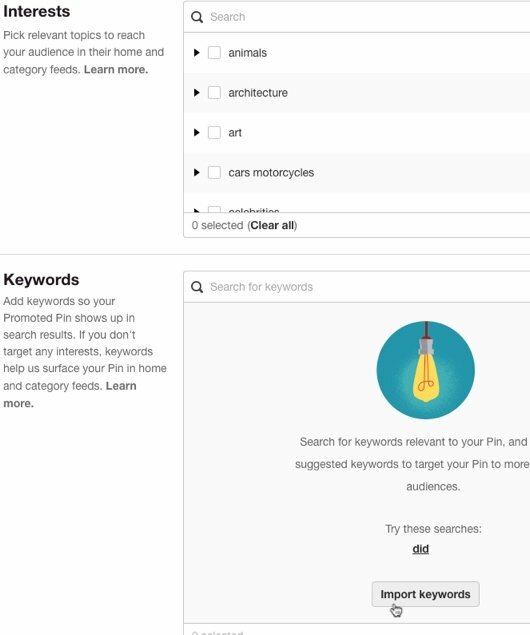 If you add multiple Pins to a campaign, Pinterest optimizes for you automatically, showing what it considers to be the best-performing Pin more frequently. Alternatively, run a single Pin campaign(s) to optimize and test manually. Target Promoted Pins based on options such as interests, keywords and location. For location, you can target people in the US, Canada and UK, including specific localities within those countries. You can also target based on language, device, and gender. 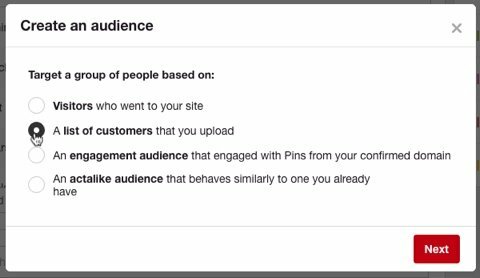 Similar to other networks, Pinterest also allow you to run retargeted ads, to create an audience based on a list you upload, and to target an ‘actalike’ audience. Once submitted, Promoted Pins take up to 24 hours to be approved. Ezra details how he spent $775.50 on Pinterest advertising, and generated over $40,000 in revenue for his BoomByCindyJoseph.com ecommerce store. Pinterest users are by nature shoppers and this is what Ezra’s results confirm. Rather than a lead generation campaign, his campaign was mainly to generate immediate sales. But rather than sending traffic direct to a product page, instead he sent them to an article that engaged the reader in his brand and products. From there, they clicked through directly to purchase products. Compared to Facebook ads traffic, he found visitors from his Pinterest campaign were spending 3 times longer on his site and converting 5 times better. He also found people were remembering his ad, finding his site again via Google or going directly, and purchasing products there too. Adore Me sells stylish lingeries by monthly subscription. A 4000% increase in revenue from Pinterest. 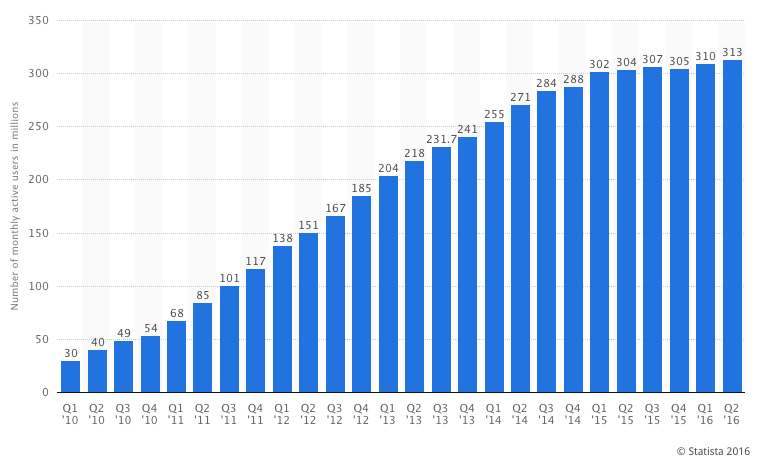 A 3700% increase in purchases coming from Pinterest. A 2600% increase in traffic from Pinterest. They also found the CPA on Pinterest was 10-50% lower than on other advertising channels they used. StumbleUpon is a social network on which users share links with other users, and vote on content to indicate whether or not they like it. It can also be described as a “web discovery engine”. Of course, it’s not as prominent as other social networks, but is regularly pegged as one of the top social traffic referrers. However, a frequent complaint is that the traffic is ‘hit and run’. In other words, visitors coming through StumbleUpon tend to have a higher bounce rate than those from other sources. StumbleUpon is used by over 35 million people worldwide, and users are generally interested in seeing new content they wouldn’t have otherwise come across. Content that does well on StumbleUpon tends to be similar to the type of content you find on BuzzFeed. Nothing too heavy, but fun posts that are immediately and easily digestible. There are more female than male users, and they tend to be less well educated than users of some other platforms. For advertising with StumbleUpon to work, you should generally use it to build awareness, build shares across other social networks (and therefore increase social proof), and attract subscribers for long-term nurture. When you advertise on StumbleUpon, you are not displaying a banner or other form of ad creative. Instead, you are paying for your site to appear more often for StumbleUpon users. In other words, for more people to stumble upon your website. The only difference between a promoted stumble and an organic one, is the display of a Sponsored label in the StumbleBar. Users interact with the promoted page in the same way as any other, sharing, thumbing up or down, adding to lists and commenting on it. This means, with the right type of content, you don’t just get the initial stumble, but potentially far more stumbles too. Voting can mean your content is shown frequently via their organic recommendation engine, and this can continue well after the initial paid campaign. You can target your audience based on age, gender, device, location and interests. Your page is then optimized for you automatically, shown to stumblers most likely to be receptive to your content. The number of stumbles, whether paid, unpaid or earned. The campaign score, based on a ratio between thumbs-up and thumbs-down. This data can be broken down by age, gender, location, interest, device and date, which can give you some key insights into the type of audience who are most receptive to your content. This information can then help with your targeting with other social media advertising. Pricing is based on cost per visit, ranging between $.10 to $.50. StumbleUpon recommend a bid price which you can adjust as required. There is no minimum spend requirement. Stefan Maescher details how he uses StumbleUpon ads as a profitable and scalable traffic source for his business. With expenditure of $129.80, it works out at a cost of just $.02 per visitor. But the important point is, what was this traffic worth to his business? 85 direct sales, earning $366. The best bit is, this was achieved with a sub-optimal setup. For example, he only had a product on the website two months into the 12-month campaign, he didn’t have an opt-in form on his blog post until four months in, and changed this to a direct sales pitch after nine months. 50% of his sales came after making this latter adjustment (which just goes to show the value of continuous testing). The most successful sites in the world are using paid social media to advertise and drive traffic to their websites. This often has a knock on effect of driving up organic traffic too, for example through adding social proof, increasing inbound linking opportunities, and more. The traffic potential is huge and growing. Social media advertising allows businesses to scale in ways that would have been far more difficult to achieve just a few years ago. The best bit is you can start with a very small budget. With many it’s as little as $5, and you can work up from there. Once you have it working, it’s like a money making machine. Spend $5, and get $10, $15, $20 or more back. However, as I’ve detailed above, not every network is suitable for every type of business. Start by focusing on just one that seems the best match for your business. Try lots of different things to make it work for you. Once you’ve found a winning formula that brings you a positive ROI, carefully scale it up while keeping an eye on your KPIs. 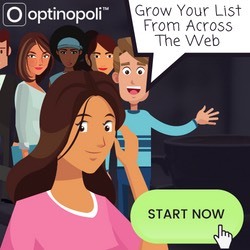 With one platform working and bringing in increasing revenues and profit, invest in getting another social network working for you in the same way. Don’t forget! Get the Special Report on where to advertise on paid social media so you have it to refer back to. Great information about the traffic potential of StumbleUpon and Pinterest. Thanks for sharing. Thank you. This is a very helpful summary of the options.